Fujian Radio and Television Group – R&C Media Group, Inc.
R&C Media Group, Inc. President Billy Chung meets with Fujian Radio and Television Group on July 5th, 2017. A segment from Fujian Radio and Television. View the original source by clicking here. Originally posted on July 6th, 2017. On July 5th, Chairman Xianghui Zeng made arrangements for President of R&C Media Group, Inc. to visit the Fujian Radio and Television Media Group. Chairman of Fujian Media Group, Xianghui Zeng, welcomed Billy Chung’s visit. He thanked Billy for his support for the partnership with Strait TV. Chairman of the board called R&C Media Group, Inc. one of the largest and most influential groups in the United States catering to the Chinese population. With this amazing opportunity to cooperate with this audience will continue to promote cultural exchanges. 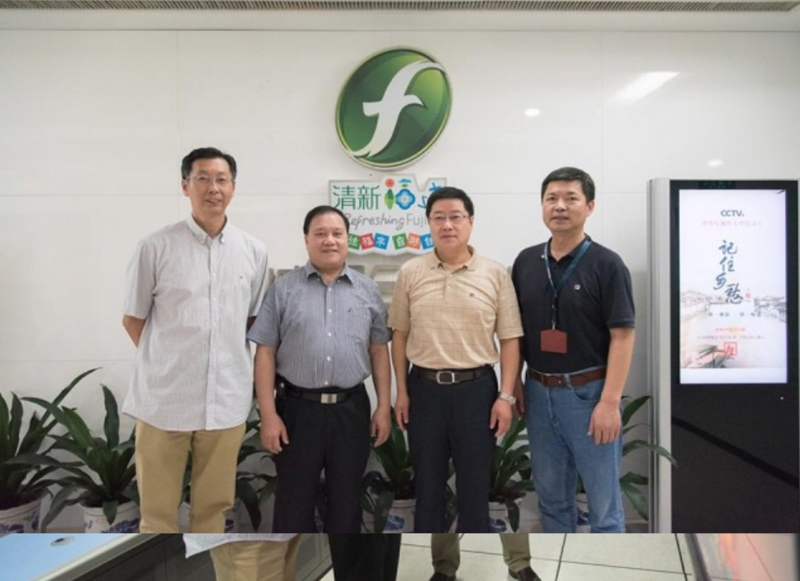 Billy Chung visited the headquarters of Fujian Radio and Television Media Group to meet with the leaders and introduce himself to the various departments. Mr. Zhan Wang, member and Vice Chairman of the Fujian Media Group, briefed Billy Chung on the organization structure, history, and development. Participants exchanged views on local media status, ratings, programming, new media technology, and content operations. WCETV is a collection of digital TV channels, Internet TV, IP TV, mobile television, and is a 24 hour 7 days a week option to view the programs around the world. At present, the company has become the new broadcast platform to reach Strait TV programs. The group’s new media center has successfully managed program signal transmission with little to no technical issues with ratings through the roof. This visit between R&C Media Group, Inc. President, Billy Chung, and Fujian Television Media Group worked together to build the IP TV integrated broadcast control platform that would build the partnership to utmost success. See our last update, GDTV’s 5th anniversary broadcasted in the United States by R&C Media Group, Inc. and WCETV. 2017 King of Mic Singing Contest | Apply Now!